International accountancy group EY has continued to expand its South West & Wales office with 10 senior appointments and 119 promotions as it looks to increase staffing levels to 500 by 2020. The regional office in Bristol has grown rapidly in recent years and now employs around 350 people. A month ago EY announced plans to double the size of its Bristol-based financial services advisory team to 100 people over the next year. In line with this, seven of the 10 senior appointments are in its growing FS team. Jeremy Wren, Carmen Diaz-Ortuno and Sarah Geldard have joined the FS transaction advisory services team to support financial services clients manage and execute transactions. The team brings specific experience of loan portfolio reviews and assessments to assist with both buy and sell-side propositions. Mark Denslow and Harry Swift have joined the FS tax and people advisory services teams respectively. Mark’s role will help to build out the FS tax practice in Bristol, with a particular focus on tax governance. Harry is a personal tax specialist advising clients who have a US tax nexus and cross-border tax issues. 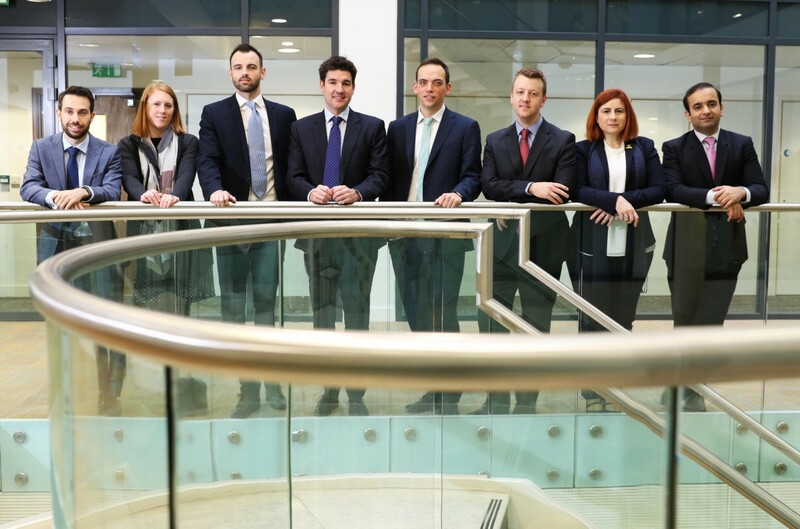 Shahzeb Memon has been promoted within the FS assurance team and specialises in working with banking and leasing clients, while Will Mirams has been promoted to lead the FS life actuarial analytics team. Other senior appointments included Emma Coughlan, Sam Phillips and Neil Johnston in EY’s indirect tax, transaction advisory services and assurance teams respectively. Emma will focus on helping clients to minimise VAT costs and embrace indirect tax savings opportunities. Sam Phillips will help develop the firm’s transaction support offering across the region and will concentrate on supporting and advising private mid-market clients across all areas of a transaction lifecycle. Neil Johnston has been promoted in EY’s assurance team and will support the firm as it continues to invest in audit quality in the delivery of external audits.